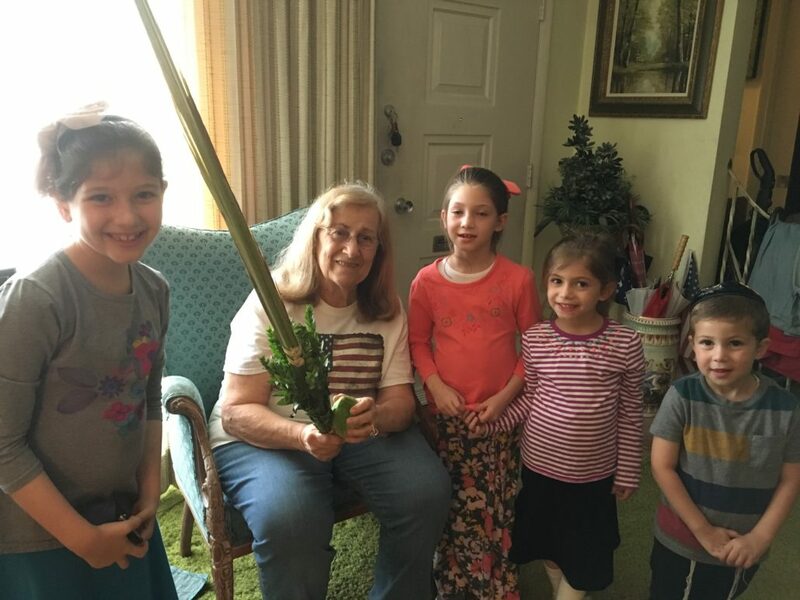 Helped 6 Yidden Bench Lulav, and Yidden make a Bracha לישב בסוכה. The Bialo children were so excited to visit Mickey, a family friend who doesn’t have grandchildren of her own, and has “adopted” the Bialos. She was so happy to be able to do the mitzvah of shaking the lulav and esrog.